This Father’s Day, spoil Dad with the Tesla of dab rigs. Praise be to the Dads who work hard and burn harder. This year, show them you're appreciative by upgrading their cannabis game with sleek devices, enlightening reads, and accessories to keep their stash discrete and safe. There's a plethora of reading material on cannabis these days. Catch Dad up with some key books that'll stimulate his brain and hobbies. The revised and updated Cannabis Pharmacy: The Practical Guide to Medical Marijuana by Michael Backes (starting at $12.99) will open his eyes to all the medical and wellness uses for cannabis. For Dads who grow, there are two friendly primers for some summer gardening: the approachable Grow Your Own: Understanding, Cultivating, and Enjoying Cannabis by Nichole Graf, Micah Sherman, David Stein, and Liz Crain (starting at $13.64); and the expertly written What's Wrong With My Marijuana Plant? A Cannabis Grower's Visual Guide to Easy Diagnosis and Organic Remedies by David Deardorff and Kathryn Wadsworth (starting at $11.99). Dads are notorious for unkempt stashes, old pipes, and cheap, clogged bongs. To help him better burn herb, exchange Dad's bleached wooden papers for some Elements Ultra Thin Rice Papers ($2, ElementPapers.com), which don't use harsh chemicals and burn with virtually no ash. And to more effectively unlock cannabis' aroma and release its effects, get him a grinder from Santa Cruz Shredder (starting at $28.50, SantaCruzShredder.com), which uses a proprietary shredding tooth design to prevent aluminum flakes from contaminating his stash. Compared to how dads treat their craft beer or a good T-bone, Dads are also terrible to their cannabis. They'll leave it in the sun or in cheap plastic baggies. Buy him some airtight, UV-blocking Miron glass jars ($8 and up, InfinityJars.com). The tinted glass keeps light from degrading the delicate aroma and effects of cannabis, and the seal keeps it smelling fresh. And while you're at it, toss out that natty one-hitter (sometimes called a bat or a dugout) and hand him the SilverStick (starting at $25, TheSilverStick.com). It's a sleek aluminum one-hitter that comes with replaceable cotton filters and a stainless-steel poker. You can also get him a cool leather pouch to store it all in. Dads love little bags and compartments, and another good option is the Stash Bag ($45, OriginalStashBag.com). Get it in orange so he'll have a harder time losing it. If Dad is into edibles, upgrade his old sock drawer to a Stashlogix ProStash ($64, Stashlogix.com) locking edibles case. The soft, nylon zippered case comes with smell-proof jars and a three-pin combination lock. That way you can keep edibles in the refrigerator — and keep your kids out of them. Lots of Dads are saving their lungs by vaporizing dried cannabis flowers instead of burning them. Vaping involves much lower temperatures and thus far fewer irritants and carcinogens — but it packs just as much of a buzz. The vaporizer to let Dad know you truly love him is the Pax 3 ($249.99; PaxVapor.com), which is designed in San Francisco and beloved the world over. The herb goes in the bottom, you click it on, wait a few seconds, and inhale. Out comes warm, flavorful, and potent vapor. With the right technique you can pull pretty big rips, and it lasts eight to ten sessions per charge. Grab it in gold for a classy look. 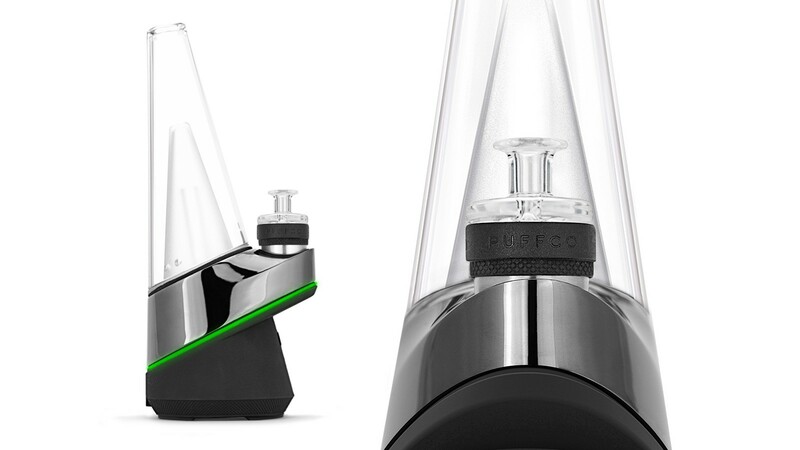 If your dad passes on flower in favor of something stronger, like concentrates, splurge on The PuffCo Peak ($379.99, PuffCo.com), which is like the Telsa of dab rigs.